Codepoet's real life is preventing him from supporting CLS. He has asked and I have volunteered to support CLS going forward. Codepoet is NOT gone, but has no time. Therefore, I'm cloning his OP and creating a new thread to continue the support and maintenance of CLS. Source code and download locations will remain the same, only the Forum thread will change (vBulliten limitation). The link to the original CLS thread is here. The link to the original development thread is here. The Forum mods have locked the original thread, so post your needs in this thread going forward. You will also need ModuleManager to load the config files for CLS to work. CLS now supports KSP-AVC, an addon version checker. If you have KSP-AVC inistalled, it will detect when CLS needs to be updated. CLS also is listed in CKAN for your automatic installation convenience. You can access the source code here. This mod identifies areas within a vessel that can be crewed by Kerbals and through which kerbals can pass internally to reach other parts that can be crewed. It is provided to make the concept of connected living spaces easily available to other mod developers and so to provide a single consistent understanding of which pars connect to each other, bringing together both multiple features via plugins and multiple part pack via configurations. CLS itself has a simple GUI to show the player which parts are connected to which. It also has an optional feature that conforms the stock crew transfer system to CLS's view of internal connectivity. CLS API WIKI - of interest to modders using CLS in their own mods. There is also some early documentation in the development thread. @codepoet, for the original ConnectedLivingSpace. Thanks for a great idea and your support. @JPLRepo, for many nights of helping me better understand KSP and reflection. @Booots, for contributions to enable Recoupler compatibility. @linuxgurugamer, for helping keep the mod going in my absence! and many others. I will continue to add as I go back and review my change logs. This section was long overdue. - incorporate PR #102 Add Italian translation. Thanks to CRL42! - incorporate PRs #101 from cake-pie make CLS 1.3.1 compatible. Thanks cakepie! - fixed Git issue #99 inflatable airlock deploy/retract does not update clsvessel state. Incorporate PR #100 from cake-pie. - incorporate PR #98 from cake-pie correct updating cls state on crew movements Thanks cake-pie! - fixed Git issue #96 localization of certain languages due to string order. - Added surface attached is passable to structural tubes (Making History). - Added missing configs configs to CLSStockFreedomAddon.txt per PR97 by wookieegoldberg, Thanks wookie! this updates some renamed parts, and adds some Making history parts. - Added configs to CLSStockFreedomAddon.txt per PR97 by wookieegoldberg, Thanks wookie! - Fixed: CLS ApplicationLauncher Button is blurry in KSP 1.4 update. Updated textures to 128x128 px. Git issue #95. - Added back in Recoupler support. Previous PR#83 accidently removed it. Merged PR#94. Git issue #83. - Fixed: Hatch status reporting error in tweakable. Git Issue #93. - Correct errors in config files for Mod version, and KSP version supported. docking ports to s2 modules and have crew transfers with CLS. * New: Added support for Recoupler. Modders can now request to merge spaces on reconnect of parts. -------Note to Modders:  This changes the CLSInterface.dll, so if you use this and want the new features please include the latest CLSInterface.dll with your mod. * Misc:  Cleaned up text rendering to consistently use C# string interpolation. * New: Implemented Localization system. Now it is possible to translate CLS into other languages. English included to start. * New: Revised Crew and part display window for spaces. now takes less real estate, and is more intuitive. * New: Revised Space selection buttons to make it easier to tell which space is selected. Now buttons toggle to allow deselection of a space. * New: Added a custom event to notify mods that the CLS vessel data has been refreshed. * New: Added a some configs per GitHub issue and PR 79 Thanks Kerbas-ad-Astra! * Fixed: CLSDefaultPart.cfg was included in distribution. There should only be a CLSDefaultPart.cfg.txt file. Removed. Github Issue #78. 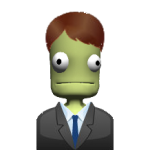 * New:  Refactored to support KSP 1.2.2. * New:  Completely refactored method used to Add hatches to vessels. Now utilizes a module manager config, eliminating prefab manipulation in game. * New:  Code refactored to improve performance and garbage collection. * Fixed: Some parts containing ModuleDockingNode without a referenceNodeName would be rendered impassable in some nodes. * Fixed: NRE generated during Vessel load. The addition of a female kerbal broke the CLS Module attachment code when a vessel is loaded at Flight. * Fixed: Spammed Index out of range error during space changes while CLS Window is opened. * New:  Added support for intercepting Parts selection list during stock Transfer target part selection. A part not in the same space will be unselectable and is highlighted orange like full parts. * New:  Added support for overriding the "Allow unrestricted Crew Transfers"in CLSInterfaces.dll setting via other Mods to prevent "competition" between mods when handling stock crew transfers. * New:  Updated config for Docking Port Jr. Squad now says that a kerbal can squeeze thru. * New:  Refactored code to improve performance, recuce garbage collection, & use Explicit typing. * Fixed: CLS windows now properly close when changing scenes. * Fixed: In the Editor, part highlighting does not work correctly when adding new crewable parts. * Fixed:  Stock Crew Transfer fails for "not in same space" even when the 2 parts are in the same space. * New:  Refactored Stock Crew Transfer Handler to use new KSP 1.1.3 events to pre-empt the transfer if disallowd by CLS. * Fixed:  Finally squashed NullRef exceptions when RemoteTech is installed. * New:  Added Distribution folder to project for ease in locating binaries from Git. * New:  Added folder check for PluginData to ensure proper config file creation when Mod is installed. * Fixed:  NullRef exceptions when RemoteTech is installed. * New:  Moved configuration file from GameData root folder to GameData\ConnectedLivingSpace\Plugins\PluginData folder to comply with KSP folder standards for mods. * New:  Changed behavior of CLSClient.cs (API wrapper class) to prevent additional assembly scans when called. Ref Git Issue #72. * Fixed:  When a Stock Crew transfer is overridden, the override message is not properly displayed. * Fixed:  When a Stock Crew transfer is overridden, the original move message is not properly removed. * Fixed:  Null reference errors. * New:  Updated mod for KSP 1.1.2 compatability. 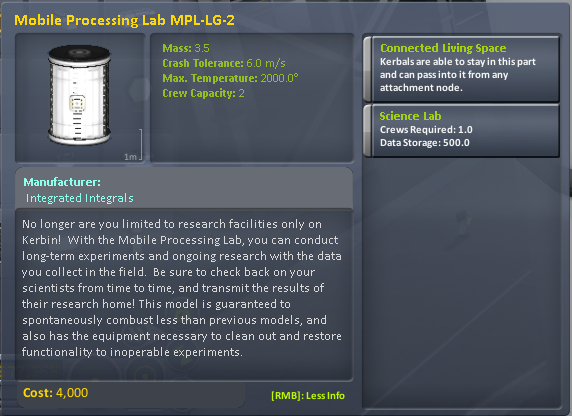 New:  Updated mod for KSP 1.1 compatability. New:  Corrected Stock Screen Messages so that they are properly removed when CLS overrides a Stock Crew Transfer. Fixed:  CLS would not display a window when the stock Icon was clicked. New:  Added Changes to configurations based on conversations in forums and a Pull Requests by Technologicat, khr15714n &  Kerbas-ad-astra. Fixed:  Correct build deploy automation to project (missing icons for blizzy). Fixed:  CLS tweakables incorrectly visible when custom passability is disabled. Version 1.2.0.1 Corrects an implementation bug. in 1.2.0.0 release, the wrong dll was distributed.. Build and deploy process is now automated. Version 1.2.0.0 makes CLS KSP 1.0.5 ready, and adds a new feature to the VAB/SPH Customizable Part configs for CLS. This feature is off by default. Refer to the CLS Wiki for more details on this handy new feature. Version 1.1.3.1 Fixes a KSP 1.0.2 toolbar issue when Blizzy Toolbar is not insatlled, a display issue with options when no vessel is loaded, and a change to the Freedom Alt Stock MM config. Version 1.1.3.0 Fixes a KSP 1.0.2 toolbar issue, a vessel loading bug, and adds support for Blizzy's toolbar. CLS now supports KSP-AVC if you have it installed. Version 1.1.2.0 Fixes a bug. Version 1.1.1.0 makes changes to the way hatches and highlighting work to make is easy to co-operate in these areas with other mods. Version 1.0.9.0 is to support KSP0.25 and adds more config for various mods. Version 1.0.8.0 is to support KSP0.24.2 and uses the new stock toolbar. A bug in the VAB/SPS descriptions is fixed too. Version 1.0.6.0 fixes some problems with the hatches closing themselves across saves, and also allows hatches to be opened for attached rather than docked docking ports. Version 1.0.5.0 provides a scheme for mods using CLS to "loose bind" to it, which means that they can more easily work without CLS. However if you upgrade to 1.0.5.0 you should update other mods such as Ship manifest that use (or do not use!) it. Version 1.0.4.1 fixes bugs, allows for shielded docking ports and is the result of a major rework of the code. Hatches in docking ports have been re-written. There is also config for many more mods, and more options for the configs. Version 1.0.1.0 is now available. this version adds closable hatches in docking ports, as well as improvements to the GUI, and configuration for more part packs. Here is a deep space transport vessel docked at an LKO transfer station with 3 crew shuttles also attached. Here is a list of mods that have been released that make use of ConnectedLivingSpace. If you would like to add your mod to this list, send me a PM. Mods that provide CLS configuration themselves. This list is by no means complete. If you would like to add your mod to this list, send me a PM. Here is a list of mods that CLS provides configuration files for. If you would like to add your mod to this list, send me a PM. Provide configuration for every part pack anyone has ever heard of. hooks that can be used by mods such as Porkjet or wetworkshops to change the passability / habitability of parts in flight. Let me congratulate you for the handover, Papa_Joe, thanks again for taking care. Note that MRS and all relevant Nertea's mods (Space Station Parts Expansion and Near Future Spacecraft, not sure about structurals) also provide CLS configurations. And here is my overly-permissive Taurus HCV config (overly permissive, because I pretend the separator is pressurized, and heatshield has a TKS hatch in it - but one could require EVA transfers between the capsule and whatever's behind it - or an Apollo style maneuver). Thanks! I will update the OP. * Added trigger to overcome bug in KSP 1.0.2 that prevents stock toolbar icon from displaying. * Added Blizzy Toolbar support with hot switching between stock and blizzy toolbars. * Added support for KSP-AVC (if installed). * Fixed a bug in OnVesselLoad to ensure only the active vessel is loaded into CLS. Does CLS work with Roverdude's USI OKS/MKS family of mods? (overly permissive, because I pretend the separator is pressurized, and heatshield has a TKS hatch in it - but one could require EVA transfers between the capsule and whatever's behind it - or an Apollo style maneuver). Edit: Looks like support is there. Check out Release notes: https://github.com/BobPalmer/MKS/releases. also, the OP wasn't real clear. MKS was USI. 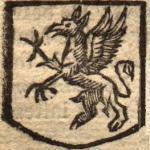 I've added USI to the name of the link. Thanks Papa_Joe, this mod is in good hands. Will be geared towards the mod developer, but will contain info on stand alone operations as well. Thanks for picking this up. CKAN support in the future? I'll check to see if CKAN is picking it up... since the distribution is KerbalStuff, it should be getting it automatically. Edit: CKAN is picking it up. It shows the latest version as 1.1.3.0 and the correct forum thread. Should be good to go. So nice to see a good mod like CLS not dying. Thanks for keeping it alive! I've put a fair amount of effort into this today. Starting to look pretty useful. The Standalone use and general player information is in place. I'll be digging into the classes in depth tomorrow (later today ). The CLS wiki is essentially complete. I will likely have edits and clarifications later, but the bulk is there, and it is ready to go. I'll be updating the OP and KerbalStuff to point to it. Let me know if there are any errors or things the need to be better defined. Thanks for using CLS! I hope this helps to expand its use! Would it be able to restrict being able to EVA from certain parts? I'm specifically thinking of only the case where you're using Stockalike Station Parts Expansion's two airlocks, and then restricting EVA from all other parts except command pods. EVA is managed by KSP. To my knowledge, there is no way to prevent EVA from a part that contains a crew hatch. If there is anyone out there that has knowledge of the API that can point me in a particular direction, I'm game to explore it. Is there a part mod that contains docking adaptors that are still crew transferrable? As in a part that can convert a Clamp-o -tron senior to a normal clamp-o-tron but still allow kerbals to pass through. I know of a couple of mods that provide docking adapters... B9 and KW... I believe that CLS comes with configs for both. You will need Module manager to make them work. Any others that anyone can think of? If you have a mod that does not work with CLS, let me know, and I'll look at creating the needed module manager configs to make them passable. Codepoet discovered a bug in my Blizzy toolbar support. When Blizzy toolbar is NOT installed, the CLS window would still allow you to select Use Blizzy Toolbar. This option should have been disabled under those conditions. I'm discussing with Codepost on the next course of action, but I've already added a check for the existance of Blizzy's toolbar and now disable the option (turning it off) when Blizzy is NOT present in my Dev copy. Barring any changes from codepoet, I will be releasing an update very soon. Update: codepoet does have some additional changes. I will be coordinating with him on the next release. Version 1.1.3.1 with some minor bug fixes and a small mm config change has been released. See OP for details. I have a query regarding radial attachment points. I have placed a mobile processing lab then attached a radial attachment to the side then connected another lab to the radial point via the attachment node. Using this design, I believe that CLS should see the labs in the same space; however this is not the case and only sees the parts in the same space if connected via the attachment nodes; could you confirm why this is the case? If you can, please tell me the name of the parts you are connecting radially, and what mod pack they come from (or stock)? I can research to see if there is a Module Manager config for them and if not, we can certainly create one. Alternatively, you can actually do this yourself by taking a look here : https://github.com/codepoetpbowden/ConnectedLivingSpace/wiki/3.0-Module-Manager-Configuration. The wiki describes how the config files work and you may be able to simply add a "passableWhenSurfaceAttached" attribute to the existing config. Finally, there are alternative stock config packs that are in zip form that come with the distribution. If the parts in question are stock, possibly there is already a config file that supports it.